In the United States, more than 67 million people suffer from allergies. Out of these allergy sufferers, 81 percent are allergic to pollen. According to Pollen.com, tree and grass pollen are the primary instigators. If you’re an allergy sufferer in Michigan, you know first-hand just how debilitating the pollen here can be. Indeed, we already have alerts for high grass pollen levels throughout June and tree pollen counts have been higher than average as well. What’s the solution, aside from a constant supply of allergy medicines or dealing with itching, sneezing, and coughing around the clock? Believe it or not, proper AC installation can make a world of difference when it comes to your allergies. How does AC Installation Help Allergies? “AC Installation” is such a common concept that we don’t always think about the “conditioning” aspect of the nme. However, conditioning is exactly what AC units do to the air. In addition to lowering the temperature of the air, a good AC unit also lowers the humidity of the air as well. By pushing out cooler, drier air, AC units effectively reduce mold in the air. Mold, a leading allergen, can cause all sorts of respiratory and allergy issues. 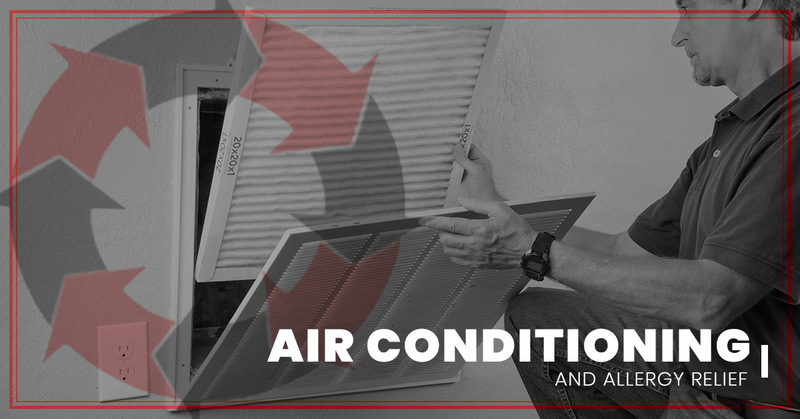 Just as air conditioning units can help clear the air, they can also push harmful allergens back into the air if they aren’t properly maintained. It’s just as important to clean your AC filters and schedule it for routine maintenance as it is to install an AC in the first place. If you’re allergic to dust or animal dander in particular, you want to make sure that you are on top of AC repairs and service. Unfortunately, cleaning an air conditioning unit isn’t quite as simple as cleaning the kitchen counters. You need to get into the unit and clean around the back, as well, so it’s usually better to hire an HVAC company for the job. If your allergies are bad enough, you could benefit from a whole-home air cleaner. The best part about working with a local HVAC company is that they can install these nifty devices and install or repair your AC at the same time. No matter how good you are with routine AC maintenance, pollutants tend to find a way into the home. Your carpets and corners house harmful chemicals, smoke, bacteria, pet hair, danger, mold, and dust. Basically, anything you’ve tracked in from the outside can also live inside your home. With a whole-home air cleaner, however, you can eliminate these harmful pollutants and improve your home’s air quality. Our local HVAC company offers AC installation, repair, and other home cooling services for Belleville and the surrounding Michigan communities. We know how miserable it can be to suffer from outdoor allergies, and how much worse it feels when the inside of your home isn’t any better. Give our team a call today to schedule AC installation, repair, or other HVAC services in Belleville!